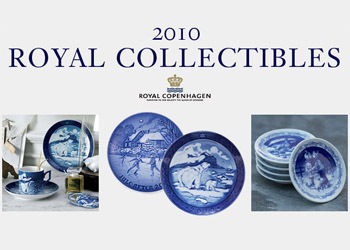 Annual collectibles have been made in Denmark by Royal Copenhagen and Bing & Grondahl since 1895. These collectible series have been cherished by generations of people all over the world, right up to the present. The relief technique used in these series is an exclusive Danish ingredient. It takes many hours of craftsmanship and artistic skills to finish each individual collectible item--from producing the mold in reverse to hand-painting and glazing the items. Browse the series and feel the warmth and pleasure of these fine made objects at Fjorn Scandinavian.